A day to celebrate #animals all around the world! 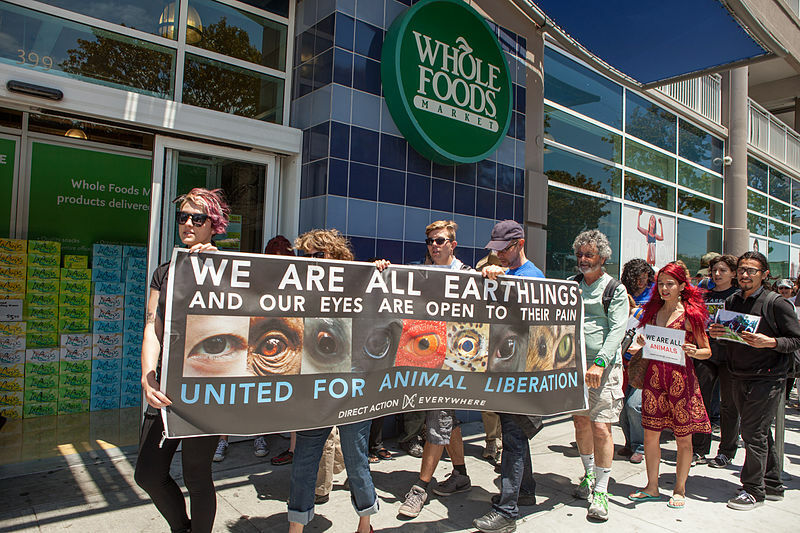 Building the celebration of World Animal Day unites the animal welfare movement, mobilising it into a global force to make the world a better place for all animals. It's celebrated in different ways in every country, irrespective of nationality, religion, faith or political ideology. 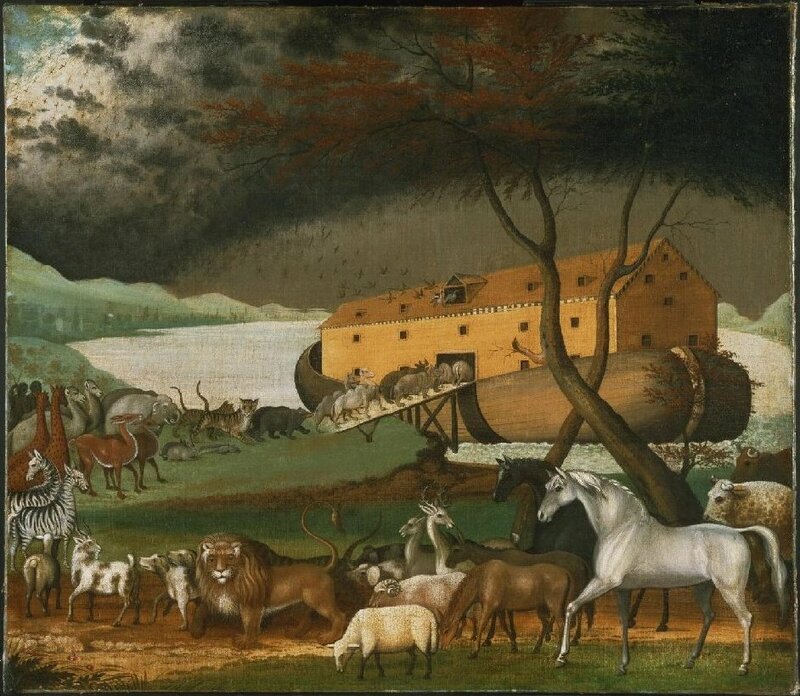 Noah's Ark (1846), a painting by Edward Hicks. From Mars & Her Children (New York: Alfred A. Knopf, 1992). by Marge Piercy and Middlemarsh, Inc.
She had horses who danced in their mothers' arms. She had horses who said they weren't afraid. She had horses who called themselves, "horse." I'm happy to provide fun and laughter. Just keep coming back, Jae Rose. Your voice is so strong. Good morning, Poets! I'll be around as soon as I get cup of coffee. Always good to see you, Gillena. What a wonderful prompt! Some wonderful poems will come from it, I am sure. I so love Marge Piercy's cat poem. That is EXACTLY how cats are! I knew this prompt would please you--not that you ever need a prompt to speak for the animals. Because of my current era going on at my blog, I've written a poem that goes with its themes of self-love, happiness, thankfulness, and positivity! Have a great day everyone! God bless you all. Thank you, JT, I hope your day was just as wonderful. What better prompt? My words are so insufficient to express my appreciation and love of all animals. I'll celebrate them today. Thank you, Myrna. We could write a poem a day about animals, and only scratch the surface. I am loving today! I'm on my second cup of coffee. I've been sitting with my sister-in-law in the hospital but now I'll take a walk in a wonderful park and then join my parents for dinner. See you later. I've been trying for over an hour to get my poem linke. My computer is so old and the homepage is so rich with texts and pics it takes forever for me to get a link on I love this motif for the midweek. Animals so enrich our lives. Send me your blog address and I will find and link your poem early in the morning. What a wonderful prompt! Thank you Susan! Thank you, Carrie. You are very welcome. I hesitated to include my very slight and cosy cat piece after Percy's magnificent archetypal evocation! I'm glad bringing it here won out. They are written to different purposes. I'm glad you like the Piercy poem.